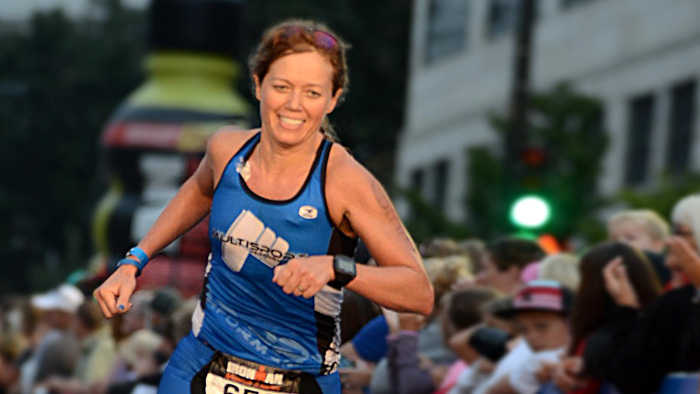 As a USAT certified coach, Kim Bramblett has guided over 100 athletes to IRONMAN finish lines. A few of them have even raced in Kona, so she certainly knows the hard work and dedication it takes to get there. Though she has been on podiums herself, she has never received a spot to the IRONMAN World Championship. Until this year, when the 44-year-old worked her way onto the Big Island as a “12th time is a charm” Legacy athlete. The IRONMAN Legacy Program is set up for athletes that have done at least 12 IRONMAN events and have never raced in Kona before. A finisher of 15 IRONMAN races, Bramblett certainly qualifies as an athlete that has earned their way to Kona. “It’s fun being on the athlete side,” says the Peachtree, Georgia resident. What Bramblett is most looking forward to is racing with the best athletes in the world. “I want to have the best race I possibly can,” she says. Having the best day possible is so important to her that she hired a coach for the first time in her career. Bramblett is working with multiple age group World Champion Laura Sophiea. Fortunately, Bramblett has had plenty of opportunities to smile at finish lines. Among her favorite races are IRONMAN Canada because of the scenic bike course, and IRONMAN Lake Placid, where, in 2003, she participated with 20 friends. Another favorite IRONMAN memory was crossing the finish line alongside her husband in 2011 at IRONMAN Florida.”We have coffee together every morning, so if that means I have to start my training a little later, that’s what I do,” she says, adding that her husband knows what it takes to do well and is extremely supportive. In between coaching and writing plans for her athletes, Bramblett trains during the day when the kids are at school and her husband is at work. Weekend training is scheduled around the kid’s activities. “My husband and my three children are my biggest cheerleaders,” she stresses. Bramblett’s daytime training regimen makes the most of the hot Georgia summers as she gears up for Kona. The training is hard and monastic since she often trains alone, but her positive take on the endeavor is contagious: “I always like to improve,” says admits, “but each IRONMAN has its own story. It could be what you had to overcome to get to the finish, or it could be new friends you made through training. Regardless of what is carrying you through, always embrace the journey. Enjoy the training that you may do alone. Make new friends, and realize how fortunate you are to be able to do what you do, regardless of your finish time.” This October, Kim Bramblett will finally get to write her very own Kona story. Got to IRONMAN.com to read more stories like these.